Ruth Hinds knows what she’s talking about when it comes to making money online – her blog is a fantastic resource for the self-employed and she makes sure her tips are tried and tested to be effective. 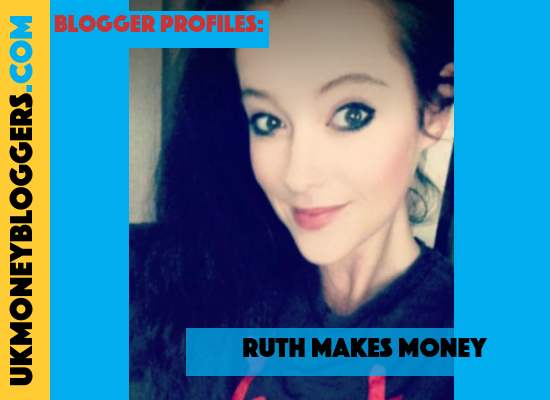 We spoke to Ruth about her blog and why she writes about money. RuthMakesMoney.com shares advice on genuine ways to make money online. I’ve been self-employed for over seven years now, and it’s basically the resource that I wish I’d had access to myself when I was first getting started on my journey, and at various stages along the way. Why do you write about money? I’m so passionate about all the opportunities that the internet has given us in terms of being able to take charge of our incomes, and I love showing people what’s possible, what works, what perhaps doesn’t, and how they can get started with or supercharge their own online earnings. Whether you want to clear some credit card debt, pay for a holiday, or ditch the 9-5 for good, it’s can be achievable to do that via making money online. I aim to give people the knowledge and confidence to make it work for them. I’ve been a freelance writer for many years, so I’ve spent a load of time writing content for other blogs and businesses. Last year though, I decided it was time to focus on my own writing project, in the shape of RuthMakesMoney. Making money online and the freedom that it can afford you is the subject that I could talk about all day long, so I was really keen to find an outlet for my passion and my knowledge that could help other people. What’s your most popular post and why? Five Tried & Tested Ways To Make A Full-Time Income Online. It’s an open and honest account of how I replaced my previous salary with my self-employed ventures, and I share the pros and cons of each income stream, as well as realistic estimates of how much you can earn from each, based on my own experiences. What’s your favourite post you’ve written, and why? I recently published 5 Stages To Building A Successful Ebay Reselling Business, and it’s probably my favourite post to date. It’s about Ebay reselling, obviously, at least on the surface, but what it’s really about is the cycle of emotions that we go through whenever we embark on any kind of change. When you start a side hustle or a small business venture, there’s always the stage where you feel like throwing in the towel. Recognising where you are in the cycle of change helps you to keep your eyes on the bigger picture, and stay on track when nothing seems to be going right. It’s based on a psychological model that I’ve used many times to keep me on track when working towards big goals. What’s your number one money tip? If you’ve been thinking about getting started with making money online, then do just that – get started! It’s so easy to fall into the trap of thinking and planning and learning a little bit more, and before you know it, months or even years have passed without you really achieving anything. Research is important, of course, but you learn the most once you’re actually on your journey. Focus on just one thing at a time, and if possible, take a little action each and every day. What’s your top blogging tip? Your blog doesn’t have to be about you just talking at your readers. When you build a community around your subject and your overall mission, there are so many benefits. Growing a Facebook group that runs alongside my blog has been one of my best decisions as a blogger so far. You learn so much more about your audience and how you can best serve them… And you also don’t feel like you might just be talking to yourself anymore! Why are you part of UK Money Bloggers? It’s such a great community where I’ve learned so much and met some wonderful people. Working from home can be lonely at times, so it’s great knowing that there are others out there on a similar journey who are happy to share their advice and experiences. Who are your three favourite UK Money Bloggers? Emma Drew, Katy Kicker, & Mrs MummyPenny!